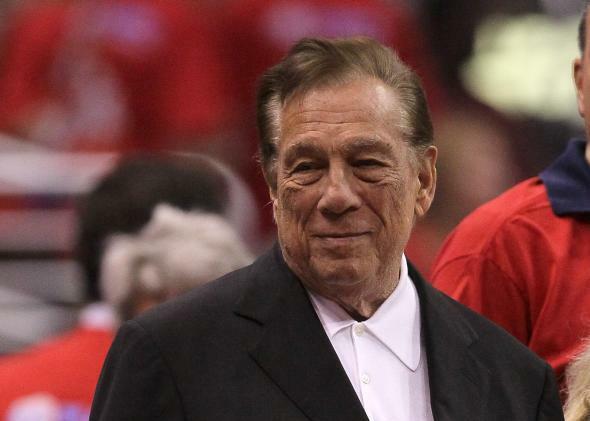 Donald Sterling selling Clippers: He could lose $100 million. Donald Sterling, call your accountant. The NBA came down hard on Donald Sterling today. As a result of his grotesquely racist comments, the league banned the Clippers owner for life and fined him $2.5 million, the maximum allowed under its constitution. A couple of million dollars is nothing to a rich guy like Sterling, as many have noted. But the financial pain might be far, far greater than that figure suggests. As the New York Times reported, NBA Commissioner Adam Silver is attempting to force Sterling to sell the team. That would take a super-majority vote from the league’s other owners. But if it happens, Sterling’s rant could theoretically end up costing him and his estate a boatload in taxes. The issue is all about capital gains. If Sterling, who is 80, were to simply leave the Clippers to his heirs, they would only have to worry about estate taxes. That’s because inherited assets get a “step-up in basis,” which wipes out any potential capital gains. But if Sterling is forced to sell, he will personally have to pay a hefty capital gains bill to the government. Then when he finally croaks, his heirs will still have to deal with the estate taxes. And as Philip Holthouse, managing partner at the accounting firm Holthouse Carlin & Van Trigt, explained to me, that one-two punch could be very expensive. Let’s run through some quick back-of-the-envelope calculations. By all accounts, the Clippers are far more valuable today than when Sterling bought them in 1981 for $12.5 million. According to the Wall Street Journal, insiders think he could “easily fetch $700 million or more from the sale.” So let’s assume, for the sake of argument, that he makes a full $700 million profit. The federal capital gains rate for high earners is 20 percent, while California’s state rate is 13.3 percent. That’s a $233 million tax bill, leaving $467 million behind. Meanwhile, the federal estate tax is 40 percent. So, lop $187 million off the top, for a total bill of $420 million. Now let’s pretend Sterling simply died and left the Clippers behind. Assuming the government valued the team at $700 million—and it might not, since that figure depends on an auction with a bunch of prestige-hungry investors vying for a pro-sports franchise—Sterling’s heirs would owe just $280 million. So, that’s a $140 million loss for the estate. Mind you, these are all very rough calculations, meant mostly for illustrative purposes. Sterling’s exact tax burden will depend on how much he invested in the team after purchasing it, his estate planning, and other assorted details. The bottom line, though, is that by being forced to sell before he dies, Sterling and his heirs will almost certainly “end up paying a much higher overall effective tax rate,” Holthouse told me. So in case you thought Sterling’s punishment should have been even more severe, guess what: It was. (h/t to Matt O’Brien, who inspired me to call an accountant during a Twitter chat. Check out his post on a potential Clipper’s sale at Wonkblog).